BLOG GIVEAWAY: Win a Pair of Skechers Go Walk 2 plus Premium Items! 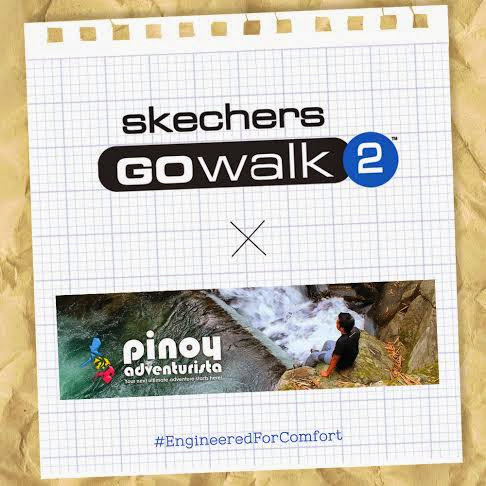 Since I am very delighted with my experience using my Skechers Go Walk 2 during my recent travels, I am partnering with Skechers Philippines in giving away one pair from their very comfortable Go Walk 2 line. I want you to also experience how comfortable and easy to use the Skechers Go Walk 2 on your travels or even on your daily routine. It's so easy to join! The raffle contest will run from December 7, 2014 to January 5, 2015. 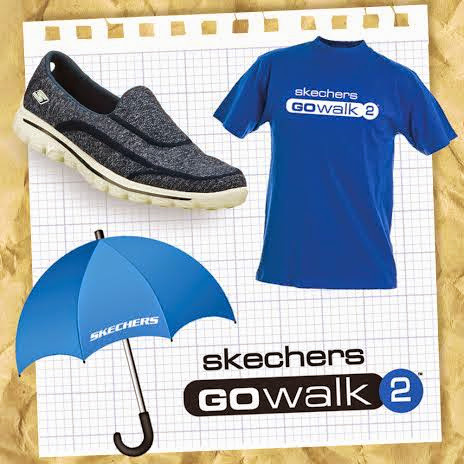 Prize is one (1) Skechers Go Walk 2 plus premium items (shirt and umbrella). The winner will be randomly selected using the rafflecopter app. Winner will be announced on January 7, 2015 on this post and on Pinoy Adventurista's social media accounts. The winner will be notified through email. Pick-up of prize will be arranged by Skechers Philippines. Only valid entries will be considered for the raffle and is open to Philippine residents only. To join the raffle, please use the rafflecopter app below to send your entries. Join now and get a chance to "Travel in Style and Comfort with Skechers Go Walk 2!"